When you’ve been injured, you’re under a lot of stress. You’re definitely in pain. You’re probably not able to do most of your normal day-to-day activities. In some cases, you might not even be able to work. On top of everything else, this is also the time when you have to begin taking the steps that will protect your ability to obtain compensation for your injuries under California’s workers’ compensation laws. Often, the pressure of everything that is going on will cause people to make critical mistakes that can severely compromise their workers’ compensation claim. If you’ve been injured, you don’t want to make these same mistakes. Here’s what to watch out for. If you’ve been injured, you need medical attention. It’s as simple as that. Avoiding going to the doctor for your injuries will only make them worse. In addition, failing to seek prompt medical attention can hurt your chances for getting paid for your injuries. The longer you wait to go to the doctor, the more likely it is that someone will try and claim that all or a part of your injuries are due to non-work activities. Don’t let your physical or legal condition suffer. Seek medical attention for your on-the-job injuries as soon as possible. If failing to seek medical attention is the number one mistake you can make after being involved in a work related injury, not telling your boss that you were injured is a close second. The problems caused by not telling your employer about your injury are the nearly the same as not going to see a doctor. The longer you wait to inform your boss that you were injured, the more likely it becomes that your employer or their workers’ compensation insurer will say that it was a non-work related activity that injured you. Additionally, informing your employer is the first step that you take to initiate you workers’ compensation claim. Within 24 hours of being informed that you have been injured on-the-job, your employer is required to provide you with a workers’ compensation claim form. You then fill out the form, explaining in writing how you were injured and what parts of your body are affected. You then return the form to your employer and they pass it on to their workers’ compensation insurer, starting the claim process. If you never tell your employer about your injury, you can never have a workers’ compensation claim. In short, if you want to receive adequate compensation for your on-the-job injury then you have to tell your boss that you were injured at the earliest possible opportunity. After you’ve been injured on-the-job, you will have several opportunities to talk about how your injury happened and what parts of your body were affected. A common mistake that many people make is to be unclear about what happened to them or to make statements that contradict what they said at an earlier date about their accident and injuries. It is extremely important that everything you say about your workplace injuries is as clear and accurate as possible. If you don’t know the answer to a question that someone asks you, then say so. Not knowing something is better than guessing or estimating. Also, avoid elaborating on or embellishing your story. Be as concise as possible, simply stating the facts as you know them. Remember, the more unclear or contradictory your statements are, the harder it will be for you to obtain adequate compensation for your injuries. When you seek medical care for your injuries, your doctor will prescribe a course of treatment that is designed to get you back to normal in as short of time as possible. This treatment may include prescription drugs, physical therapy, medical or surgical procedures and limitations on activities and movement. No matter what treatment your doctor prescribes, you need to follow his or her orders for two important reasons. First, your doctor is a medical professional. It is his or her job to diagnose and prescribe treatment that will allow you to recover and regain full health. Disregarding your doctor’s advice will only make the road to full recovery longer or even make regaining your former health impossible. In short, when you don’t listen to your doctor, you make your injuries worse. Second, if you intentionally make your condition worse by not following your doctor’s orders, you are not entitled to compensation for that worsened condition. In other words, the physical impact of your injuries will be worse but you will not be able to fully recover for that worsened condition. There is no excuse, from either a medical or financial viewpoint, for not following your doctor’s advice. If you’ve been injured while working, you might be thinking “Why do I need an attorney? I can probably handle my own workers’ compensation claim and save myself a lot of money.” Well, you might be right. You could attempt to represent yourself and you might be successful. However, you have to keep in mind that California’s workers’ compensation law and procedures can be complex, especially to someone who has no experience dealing with either. Also keep in mind that you will be dealing with representatives of your employer’s workers’ compensation insurer. You can be assured that they are extremely well versed in complexities of workers’ compensation law and they will know how to procedurally deal with your claim. Remember, they are your adversaries. It is in their best interest to see that your claim is either denied or that you receive as little money as possible. After all, your compensation comes out of their pockets. Don’t make the mistake of representing yourself in your workers’ compensation claim. A competent and experienced workers’ compensation attorney will be in your corner, working to get you the compensation that you need and deserve. Making a false or fraudulent workers compensation claim is a felony subject to 5 years in prison or a fine of up to $150,000 or double the value of the fraud, whichever is greater, or by both imprisonment and fine. Disclaimer: The legal information presented on this site should not be construed as formal legal advice or the formation of an attorney-client relationship. 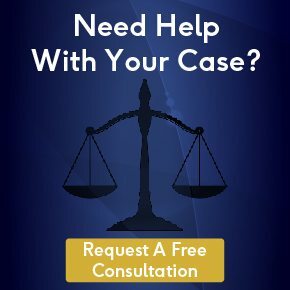 If you need legal assistance or would like to discuss your case with an attorney, please fill out and submit the Free Case Evaluation form or contact us at 916-442-5835. - Copyright 2019 Fraulob-Brown, Lawyers. All rights reserved.